Dawn broke as the little children of Tuqu’ village—their backpacks a little too big for them—made their way to the first day of classes for the new school year. Their faces lit up when they saw the EAs, smiling and greeting them good morning. “What’s your name?” some of them asked, laughing and giggling. The children were at their best being what they are—children, quite unmindful of the troubles of their land. As class time approached, the six- to fourteen-year-olds silently passed the two heavily armed soldiers in front of the school—the reason for the EAs’ presence. The two young men in uniforms, armed with rifles and binoculars, were there for the security of the State of Israel. Just a few kilometers away, school was also beginning, but trouble was brewing. That afternoon, a number of young residents at the ‘Ayda Refugee Camp joined a demonstration about the recent deaths of three Palestinians in Qalandiya at the hands of the Israeli military. Eventually, stones were thrown as a manifestation of the anger and frustration of a young generation. The soldiers responded with a resolute clampdown on the stone-throwers, some of them as young as 11. The Israeli army fired teargas and stun grenades in an attempt to defuse the spontaneous outburst of emotion. 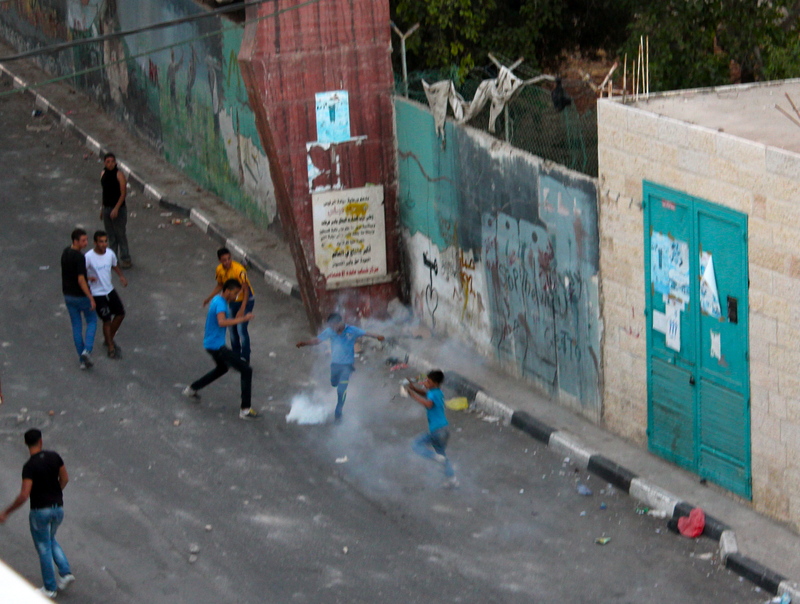 A teargas canister hit one 11-year-old boy on his forehead. Two ambulances also entered the camp, a sign that some had been seriously injured. This is a far cry from the picture of happy school children the EAs saw earlier that day. In the encounter with the Israeli military, the Palestinian youth of ‘Ayda Camp were forced to confront a reality that has no place for something as trivial as homework. To the northeast, in Khan al Ahmar in East Jerusalem, again, we see a completely different picture. 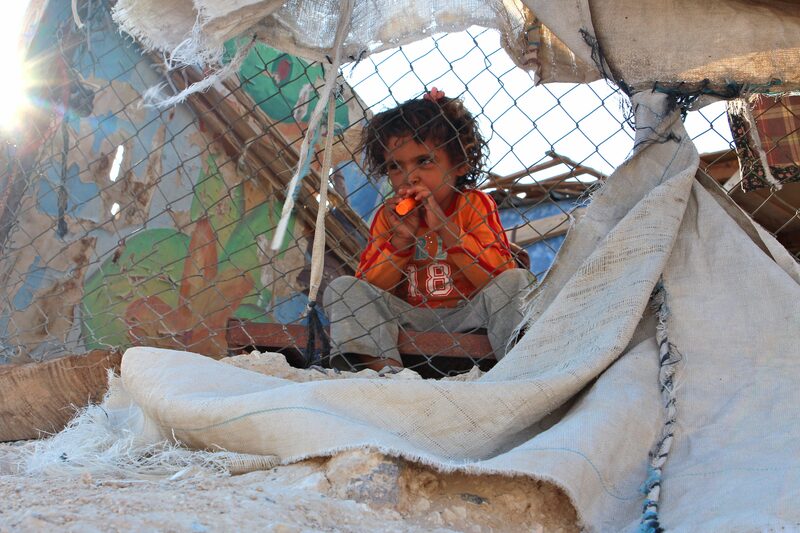 Israeli settlements close off a Bedouin encampment in the Judean desert from the rest of society. The Israeli government’s restrictions on the Bedouins – severe restrictions on running water or electricity and prevention of constructing new buildings – force the Bedouin to live in grinding poverty. There is a school in the encampment, signifying that the Bedouins place a value on education—but even that is denied to them. The Israeli government has issued demolition and stop work orders making it virtually impossible for the Bedouin to set up the necessary infrastructure for a functioning education system. 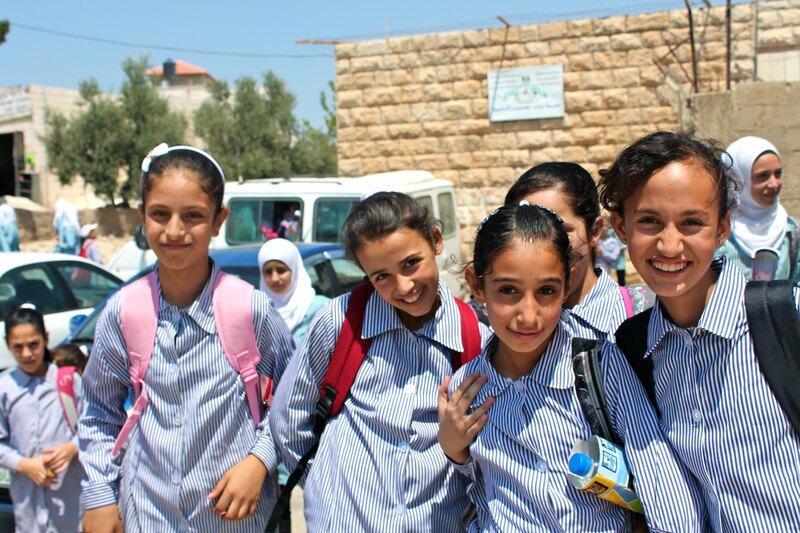 These different pictures of schoolchildren show the various ways the Israeli occupation shapes and limits the daily lives and future prospects of the people of Palestine, particularly the youth. Nevertheless, the smiles of Palestinian children not only reflect a temporary respite from their country’s predicament, but also a future for a troubled land. The laughter that has not yet died in their hearts echoes the same hope, the same innocence, the same enjoyment of life every child possesses, whether in Palestine, in Israel, or in any other part of the world. This entry was posted in Children, Protective Presence and tagged 'Ayda camp, access, education, Khan al Ahmar, palestinian, school, Tuqu' by EAPPI. Bookmark the permalink.